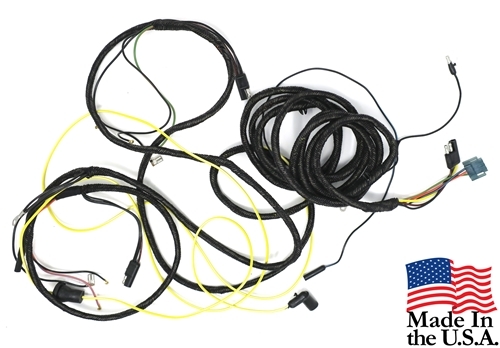 1967 Mustang Fastback and Shelby Tail Light Wiring Harness. This harness does not include the tail light sockets. This harness is recommended to be used on a Shelby and purchased with our ER-5812 Shelby Tail Light Pigtail Wiring Harness.